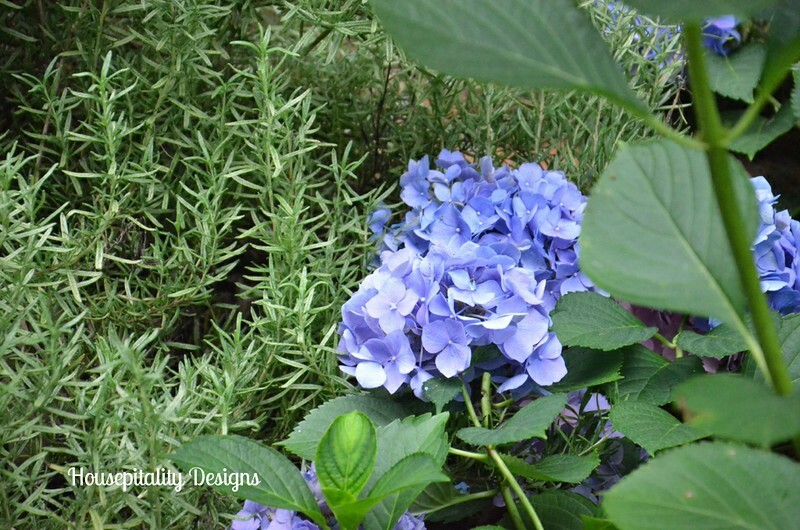 My hydrangeas are going crazy…maybe it is because of all of the many rainy days we have had. So I went out for the first time this season to cut some for the house. 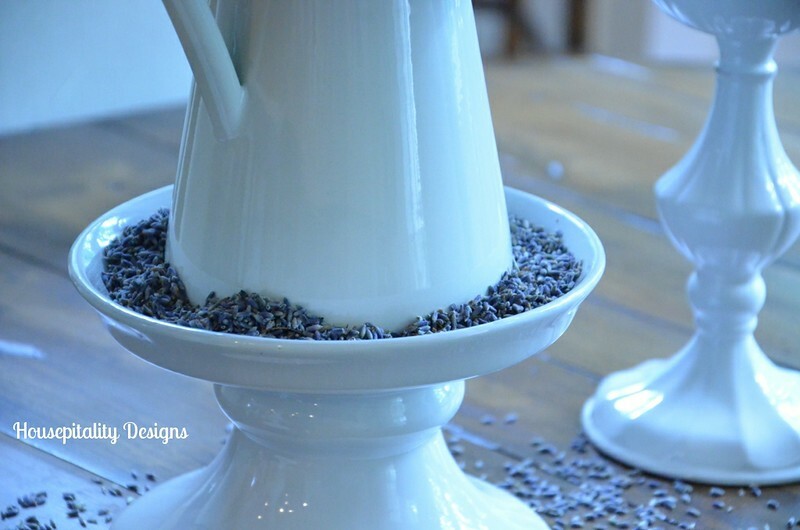 …..and set it on the Pottery Barn Ceramic Beverage Stand. …..oh, and I am experimenting with my white balance on my camera. 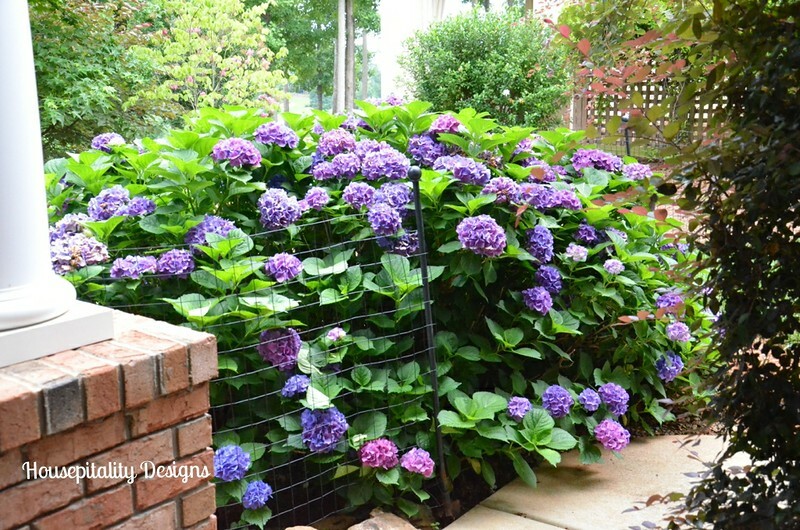 One of the hydrangea shrub…the largest one…that is protected by fencing…from the deer! I believe it is because it is next to my Rosemary shrub…. 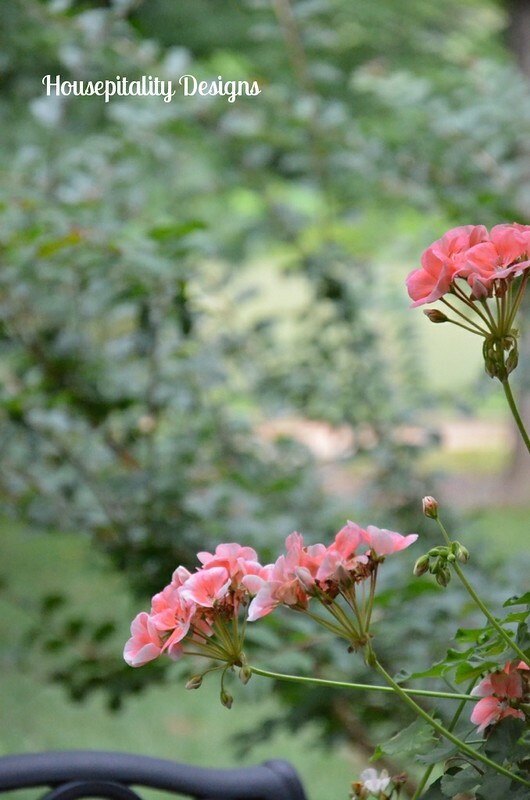 …..Some of my neighbors have planted Rosemary among their roses to ward off the deer. I love how this shrub has a variety of pinks and lavenders. Pop over and read how to get a great shot of a “dark” room and prevent “blow out” of windows! 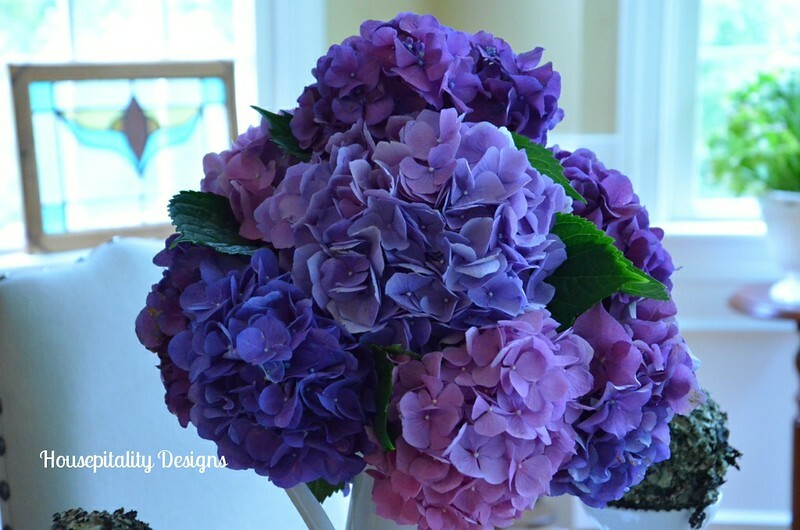 I love your purple hydrangeas, and how you display them. I can only get blue or pink to grow in my hard. How do you get them to turn purple? Or is that a certain type of hydrangea. And mine have been pummeled by the heavy rains we’ve been having, so my largest shrubs are drooping, especially my Annabelles. You’re talking about my favorite flower! Well, at least one at the top of the list that I have planted everywhere! Your colors are so incredibly intense!! Lovely. Your home looks terrific! 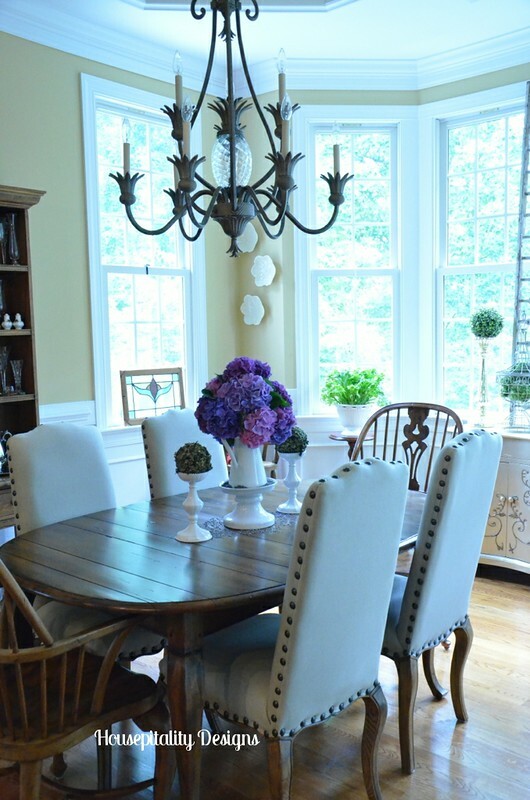 I also love your dining room chairs with the nail head trim!! Enjoy a little R & R! Too funny how much our posts are alike for sure. You messed with wb and I overexposed and both of hydrangeas. I think we were separated at birth. Wow the color of those are beautiful! I can’t get mine to be that dark. I suppose it could be the variety too, but still I never seen any hydrangeas around here with such depth of color! I didn’t know deer liked to chew on hydrangeas. I have quite a few but I guess I’m lucky because there are deer around us. 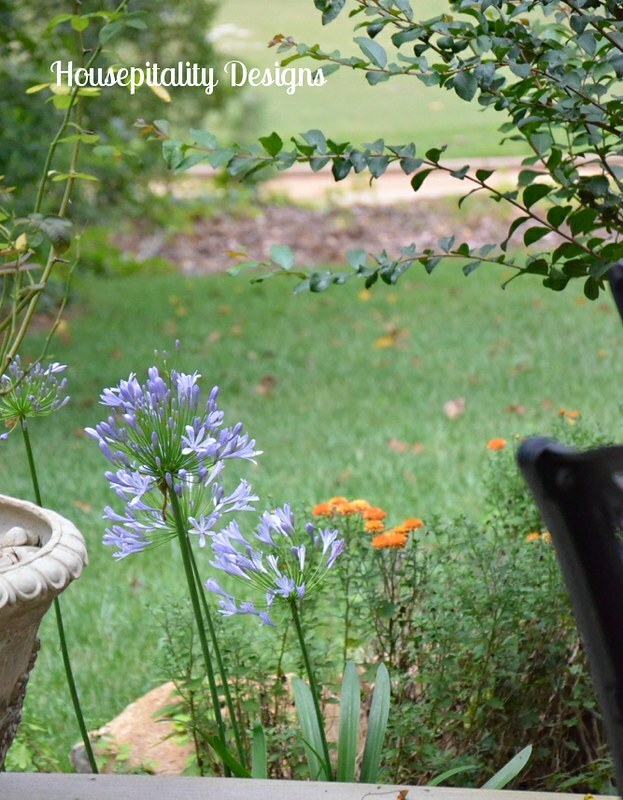 Your geraniums and agapanthus look great too! Love the big fern- perfect for a porch! Enjoy your relaxing- I’m working on a garage sale that we’re having a week from Saturday. 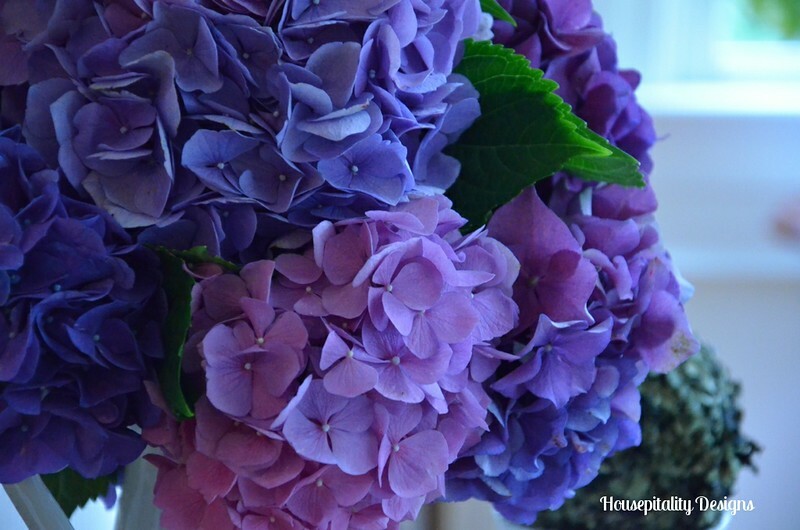 I LOVE hydrangeas–it’s one of the reasons we bought the house. Yours look great! 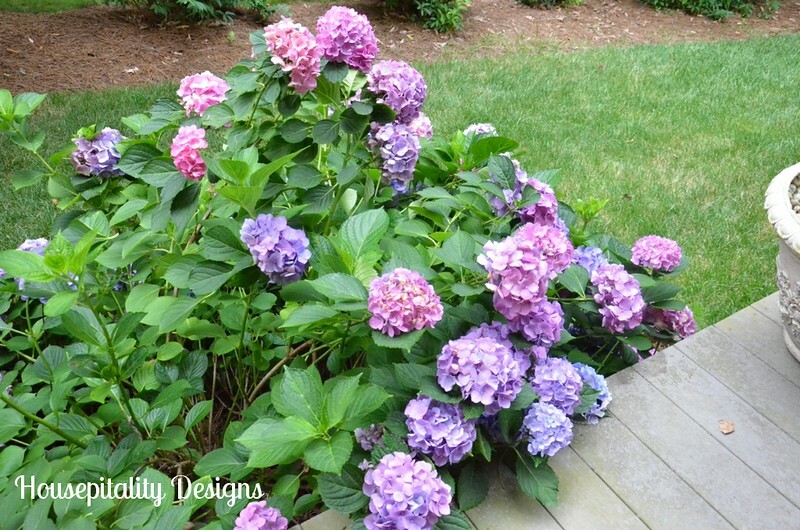 Your hydrangeas are just beautiful, Shirley! I need to go out and cut some more of mine to bring in. I cut a couple a few weeks ago and just loved having them where I could see them in the house. 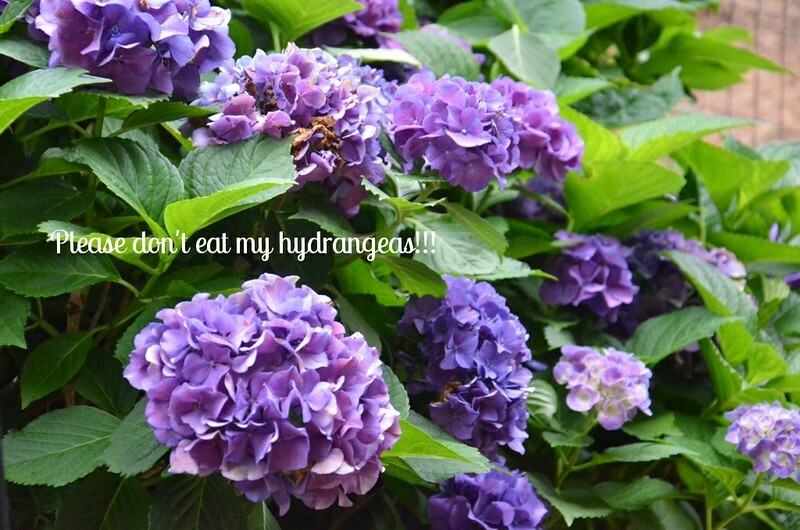 I love your hydrangeas!! They are a beautiful color and they are huge. Have fun working on your projects!! Cynthia’s recent post…Hang in There!! So pretty Shirley…I LOVE the shot of your back porch!! 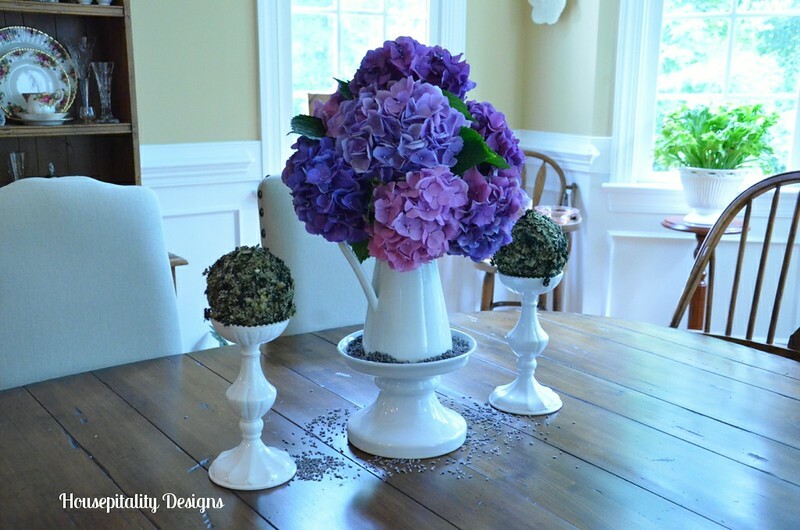 Gorgeous hydrangeas and vignette Shirley! Shirley, you Hydrangeas are stunning! The rain has beaten mine down so much! The’re not as pretty this year. 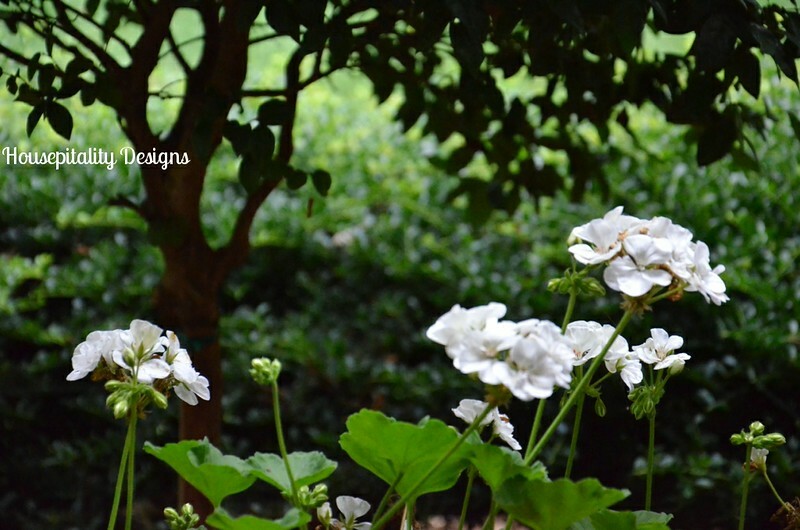 Your vignette is lovely! The colors are so unique! Shirley, I practically gasped at your hydrangea bush-gorgeous!! Good thing I don’t live closer; I’d be sneaking over and stealing some 😉 Love how you displayed them, too. Spectacular colors! Mine are just starting to bloom, but I’m very disappointed to see so few blooms on a couple of bushes. I can assure you it’s not for lack of rain! 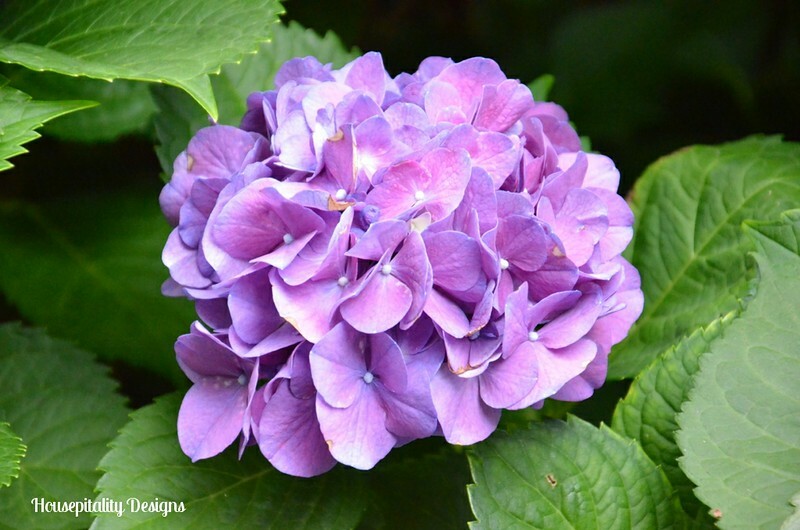 You have gorgeous hydrangeas! Yours are purple like mine but mine are much smaller bushes. I have never cut any to bring inside. Can you believe that? I see everyone doing that and think how pretty they look, but I just stare outside at mine still attached to the bushes. LOL! Hope you enjoy this weekend and aren’t getting drenched with rain like we are (still). 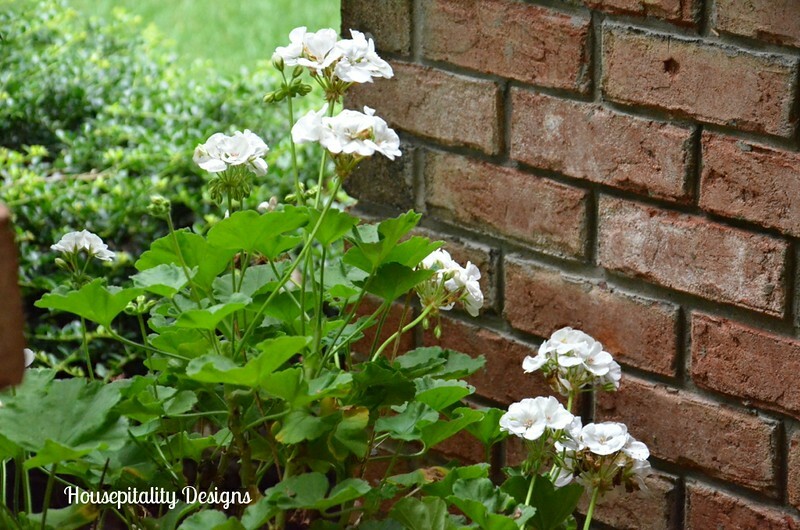 Oh, this post makes me miss my hydrangeas (long story)! I don’t know what you’re feeding those things, but keep doing it! I have that ikea pitcher too and love the versatility of it. I’m drooling over your incredible hydrangeas, Shirley! 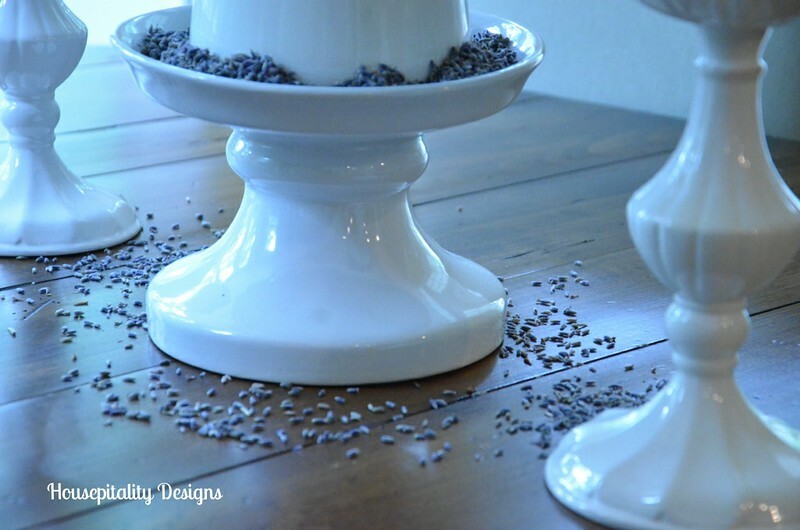 Your purple ones look gorgeous inside, and I love how you scattered lavender seeds! 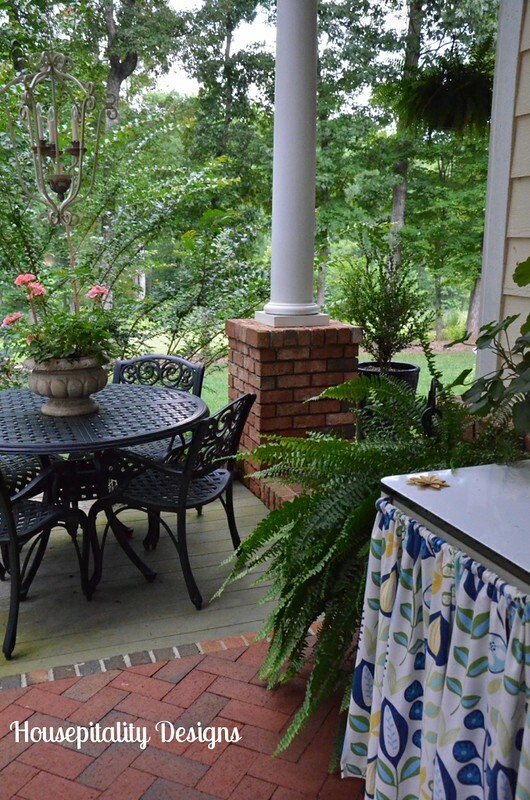 I love seeing more pics of your outdoor spaces … hopefully, your rain is gone, too! Becca’s recent post…Winner of the Kindle Fire and Fun in the Sun Party Highlights! 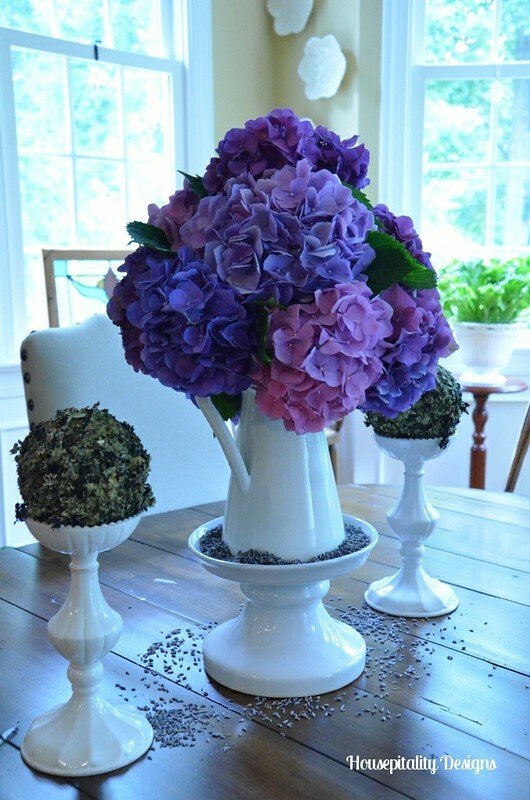 Shirley, I just love how you combined the lavender with your purple hydrangeas to create your display! I have one bush that produces the dark purple blooms. It has been here forever and was planted by my MIL. I would play around with the white balance on my camera but I don’t really understand how and am hoping to get some tips at the conference. Are you bringing Oreos again this year? Jane @ Cottage at the Crossroads’s recent post…New Sponsor and a Thirty-One Gift Certificate Giveaway! 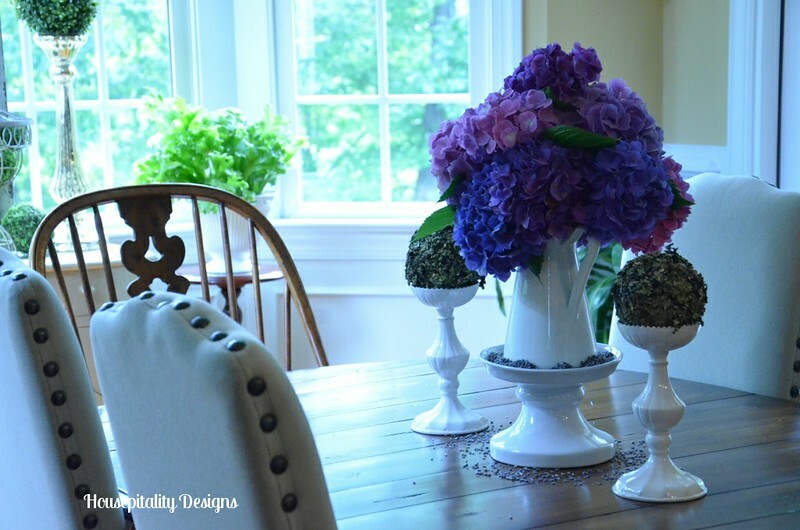 I like what you did with the ceramic stand; the white really makes your purple hydrangeas pop. 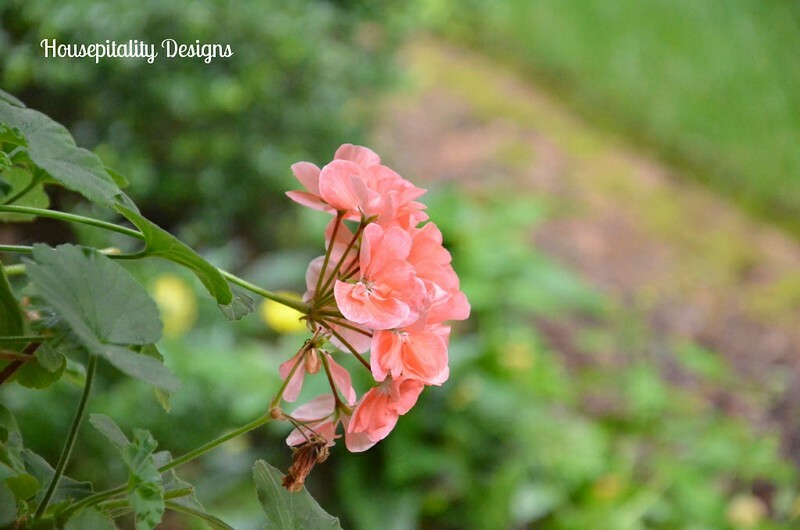 Your garden flowers are lovely; the salmon pink is my favorite color for geraniums. I’ll have to try the tip about planting rosemary; I’ve also heard that marigolds are good for keeping the critters away, too. I hope you enjoy your break; this is a good time of year to relax now that the heat has settled in. Have a great week!